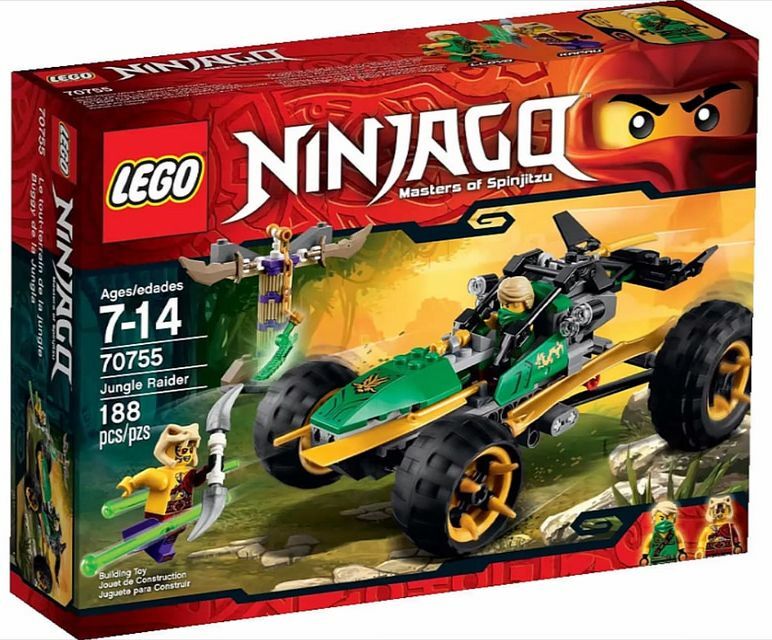 The first impressions about this new Ninjago’s buggy couldn’t be better! 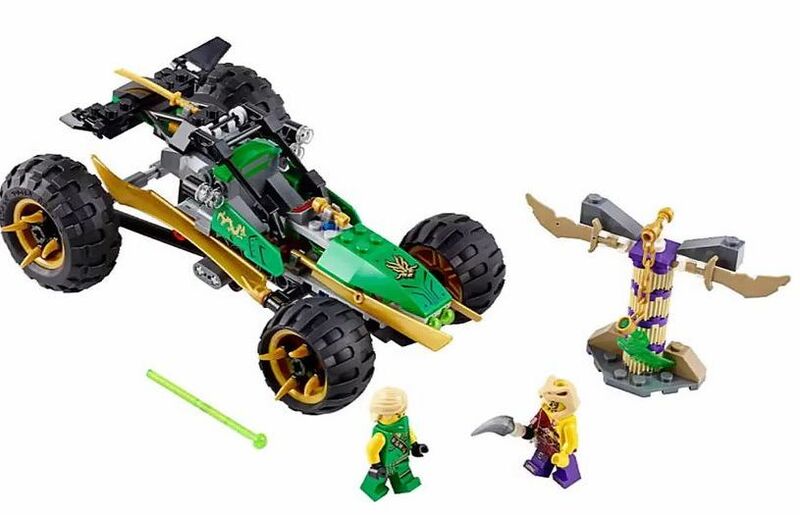 An extraordinary design combined with a good color mix with green and golden yellow and a couple of nice features to play with, makes this vehicle, in my opinion, one of the most exciting sets of the next 2015 Ninjago wave. 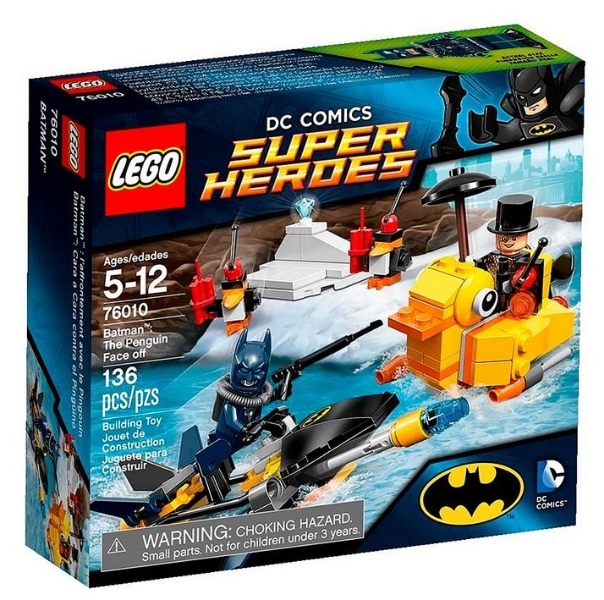 The set brings a bit less than 200 pieces, hundred and eighty eight to be exact, which puts it in a price level around the twenty dollars, perhaps a bit more, that is enough to enjoy Lloyd Garmadon and its Jungle Raider, a second mini-figure, Kapau and even a small temple. The Jungle Raider is built upon a nice suspension, made with technic pieces that give it total flexibility to surpass most kind of obstacles. The tires, as we can see, are also extra large and the golden wheels have four claws each in order to protect the buggy from potential attacks. The cockpit, in the middle, is placed inside the vehicle’s structure and is reinforced the side bars protection. 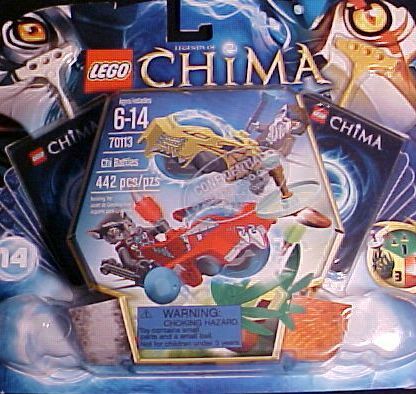 In the front, besides the green nose, we can also see a funny horn which honestly “has everything to do” with Ninjago! 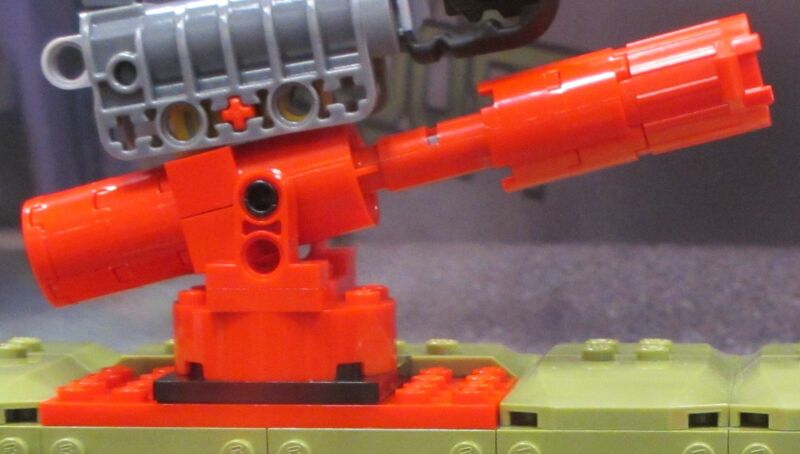 There are golden blades everywhere, four in total, and just at the front we can also find two missiles launchers, that for know I can’t figure out where they’re triggered. Continuing, just behind the cockpit, there are also four discrete spot lights, the powerful engine, all made with grey bricks and a nice black aileron. 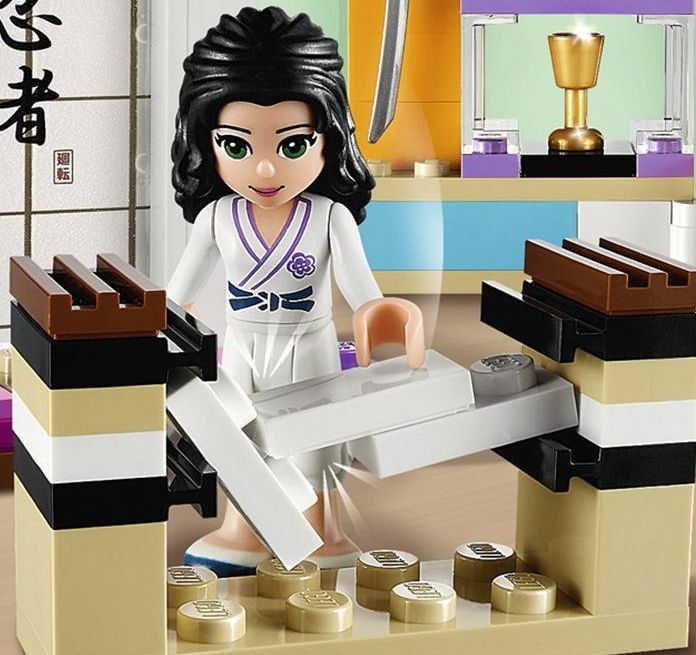 The small temple with two swords and a chain has definitely a story but I think that I’ll only discover it with the official press release. 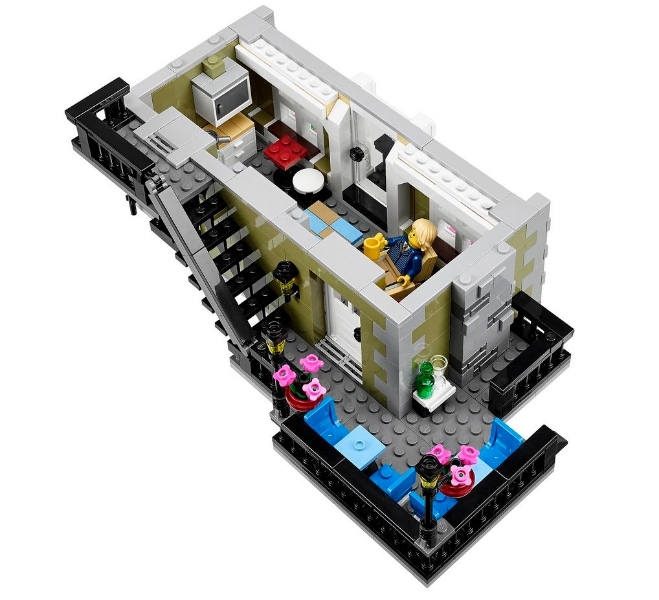 Finally a word to the mini-figures that being quite detailed, as usual in this theme, aren’t absolutely my favorites! Please have a look at the pictures! 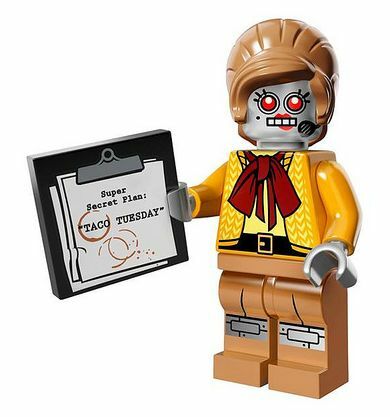 This entry was posted in Ninjago and tagged 70755 by pedrolpais. Bookmark the permalink.